Physicists have long thought that the singularities associated with gravity (like the inside of a black hole) should vanish in a quantum theory of gravity. It now appears that this may indeed be the case. Researchers in Uruguay and Louisiana have just published a description of a quantum black hole using loop quantum gravity in which the predictions of physics-ending singularities vanish, and are replaced by bridges to another universe. General relativity has been summed up by the late John Wheeler’s phrase: “Spacetime tells matter how to move, matter tells spacetime how to curve.” Relativity is riddled with essential singularities, because gravity is both attractive and nonlinear – curvature in the presence of mass tends to lead to more curvature, eventually leading to trouble. The result is rather similar to a PA system on the verge of producing a feedback whistle. If you whisper into the microphone (small gravitational fields) the positive feedback isn’t enough to send the PA into oscillation, but talking at a normal volume (larger gravitational fields) produces that horrible howl. Whispering is the comparable to the familiar actions of gravity that keep the planets and stars in their courses. The howl is the process that eventually leads to a singularity as the end result of gravitational collapse. Let’s follow this analogy a bit further. On a PA system, the volume of the feedback is limited by the power capacity of the amplifier, so it can’t reach truly destructive levels (other than to our eardrums.) 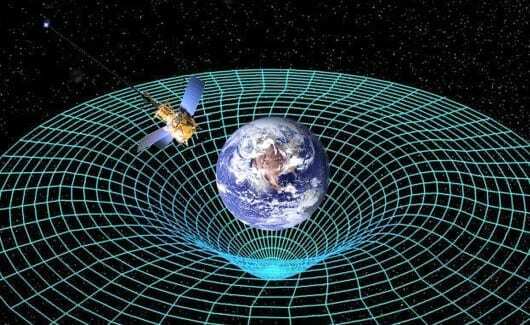 However, gravity as described by general relativity doesn’t have such a limit. Since gravity is always attractive, and eventually becomes stronger than all the (known) forces that normally give volume to matter, there is nothing to keep gravitational collapse from proceeding until the curvature of the spacetime tends toward infinity – i.e. a singularity. April 13, 2019 - 3 Huge Questions the Black Hole Image Didn't Answer Space.comAlmost nothing in the black hole image surprised astrophysicists. These are the three biggest mysteries it left unsolved, and two questions it did answer. March 29, 2019 - 4 things we'll learn from the first closeup image of a black hole Science NewsScientists are gearing up to release the first image of the black hole at the center of the galaxy. Here's what they hope to find out. April 17, 2019 - A Brief History of Black Holes The WireBlack hole research started off as a purely theoretical exercise and slowly developed into a minefield of important findings in astrophysics and cosmology.